Hello, again! 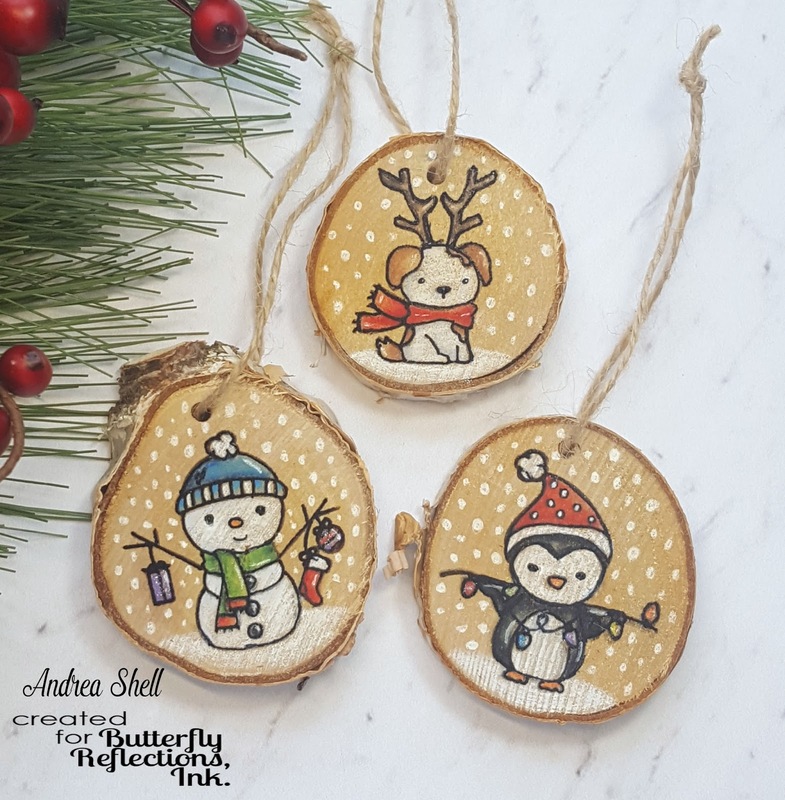 It's Andrea with you to share some fun gift toppers/ornaments featuring some adorable critters from Neat & Tangled. 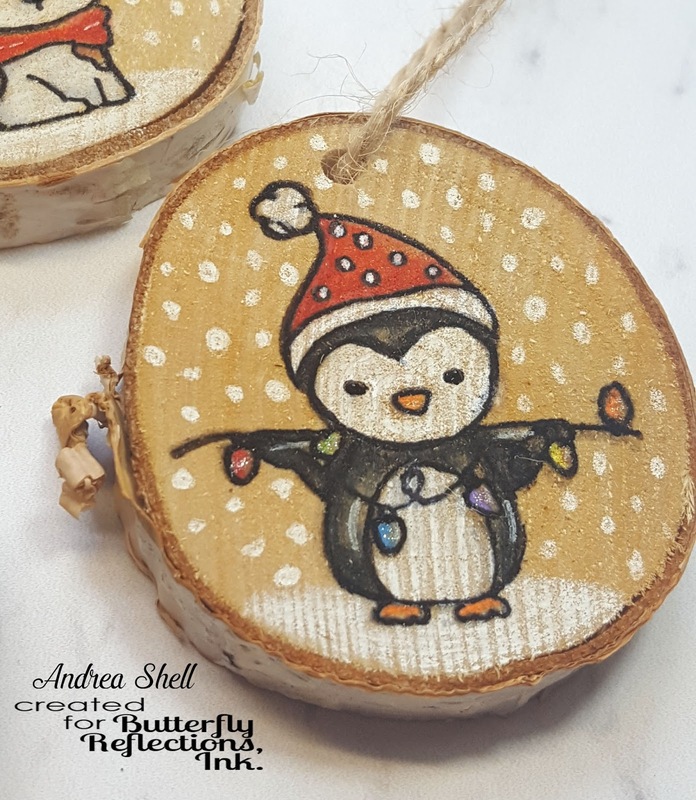 I've seen quite a few bloggers who have stamped and colored images on wood slices, and I've been itching to try it myself. 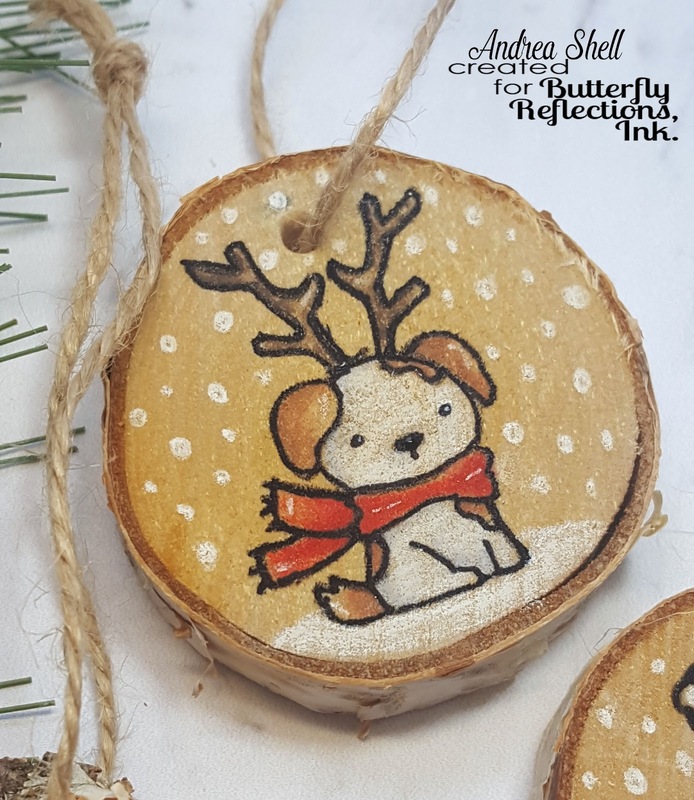 After picking up a bag of wood slices from my local craft store, I chose images from Neat & Tangled's Santa's Wonderland (snowman and penguin) and Get Yeti (dog). I stamped the images with Versafine Onyx Black ink and colored them with my Prismacolor pencils. To smooth out and blend the coloring, I used Gamsol and some paper stumps. 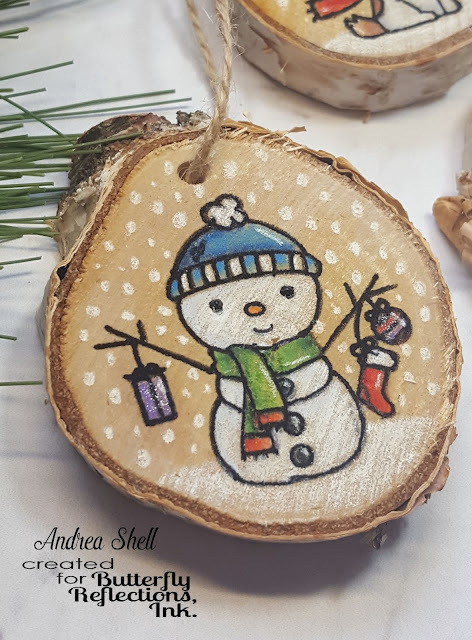 For some reason, the white pencil did not blend well and really shows the texture of the wood. Once I had finished coloring, I traced over all of my images with a fine-tip black Sharpie and added some highlights with a white gel pen. I gave some sparkle to the penguin and snowman with Spectrum Noir Clear Sparkle Overlay. I used a drill to make the holes in each of the discs and threaded some jute string through them. To make the eyes on the snowmen and penguin and the nose on the dog pop, I covered them with Nuvo Drops in Ebony Black. I love how these turned out, and they were lots of fun to make! My only dilemma is parting with them (I'm thinking about putting them on my kids' gifts, so I can hang them on my tree every year)!